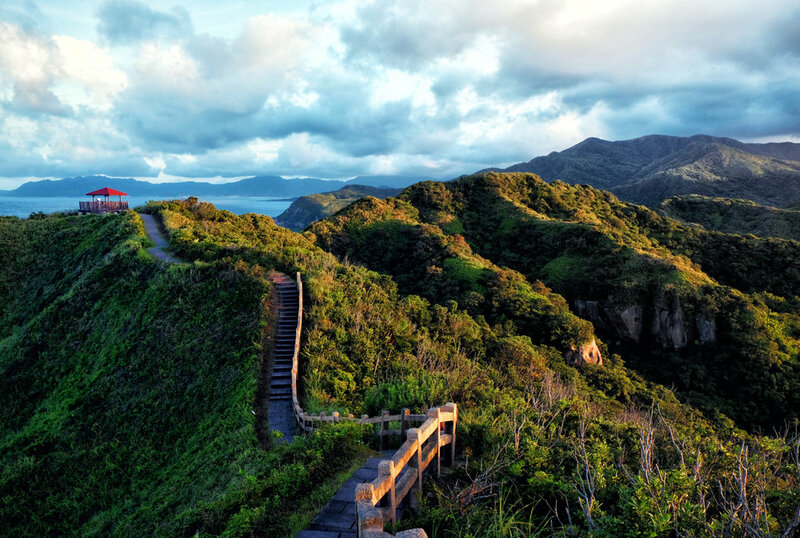 Taiwan isn’t the usual destination that you’d go for while planning to visit Asia. Most people would choose Thailand, Japan or Vietnam over Taiwan in a heartbeat. However choosing the perfect summer holidays during the months of July & August isn’t the easiest part, because most asian countries are hit by the summer monsoons. Thailand and Bali are well known for their rain-season during the european summer months. While circling around the asian continent on a world-map with my finger, the tip of my index, landed on Taiwan. Two of my friends used to live in Taiwan, that’s why I only heard good things about the country. But I aslo gotta admit that I barely didn’t know anything about Taiwan, except for the city-name of Taipei and its skyscraper the “Taipei 101” building. After finding out that there are several national parks spread all over the country and that there’s a pretty coast called Kenting which is also know for its surfing spots, Taiwan sounded very inviting. And chances of getting wet was less probably compared to other popular asian countries. When I heard Taipei, I thought Hong-Kong. From several photos and videos that I’ve seen form the capital of Taiwan, it pretty much reminded me of the fascinating city of Hong-Kong. Hell, I was wrong. In my opinion both cities are totally different. Hong-Kong is such a photogenic city, that you will get endless opportunities to take beautiful shots with your camera or phone. You can hop from cabs to subways and land on a boat and just cross the river within a couple of minutes. Hong-Kong has a bustling nightlife. Get on a funicular and make it to Lantau Island. Temples, skyscrapers… HK got it all. After my first two days in Taipei I still couldn’t feel the vibe of the capital. There were a couple of dull temples spread all over the different areas of the city. Blocks that were packed with shopping malls, the 101-Skyscraper that you could stare at from further distances. The shopping streets were very busy from the early after-noon until the late evening. Streetfood-markets are very popular, you’ll find quite a few and get all kind of dishes that costs about a dollar or a euro. At the food markets we only bumped into locals. The pannels were written in chinese and it was pretty hard to figure out what we were eating, as many of the taiwanese people don’t speak a word of english. Even though the streetfood wasn’t the best one, the foodstalls weren’t the cleanest, I still enjoyed watching people strolling over the market and observing the “chefs” preparing their food. To be honest, there wasn’t one single tourist attractioni in the city that I really enjoyed. Good nightlife spots were very hard to find, as the popular bars are spread widely appart. So you always gotta use a taxi or public transportation to make it to a busy bar or club. We spent two nights at the gay-district as it was easy to spot and you could buy an “all-you-can-drink” ticket for 15 bucks. We were often asked by taiwanese people “why are you vistigin our country?”. I seemed like the locals weren’t used to see a lot of tourists in their city. On our last day in Taipei we crossed a very laid back, but huge american guy, he stared at us, raised his hand, put a smile on his face and yelled at us “hello white people!”. That was pretty funny, because we realized that he was actually right. During our 10 days in Taiwan we met less than a handful caucasians. 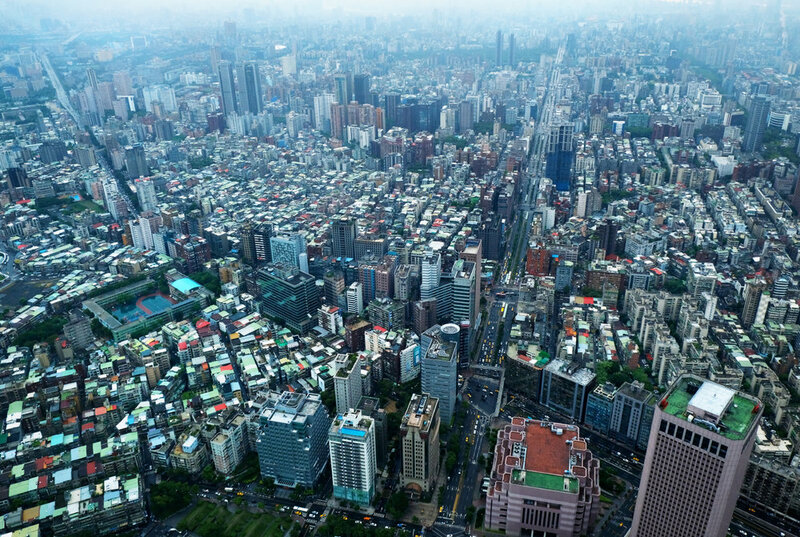 Keelung is a city closer to the northern coast of Taiwan. It took us a little more than an hour to reach Keelung by train from Taipei Mainstation. After getting off at the final stop, Keelung instantly felt different than the capital. There weren’t any skyscrapers, no fancing shopping malls, it all looked more laid back. Obviously the city center looked more “taiwanese” than the capital. Right in the heart of Keelung, there was a harbor, a canal with many bridges and the famous Keelung street market. At first sight I was more attracted and impressed by Keelung than Taipei. As we planned to spend 5-6 nights in Keelung, quickly it turned out as a bad idea. There was even less going on at night than in Taipei. 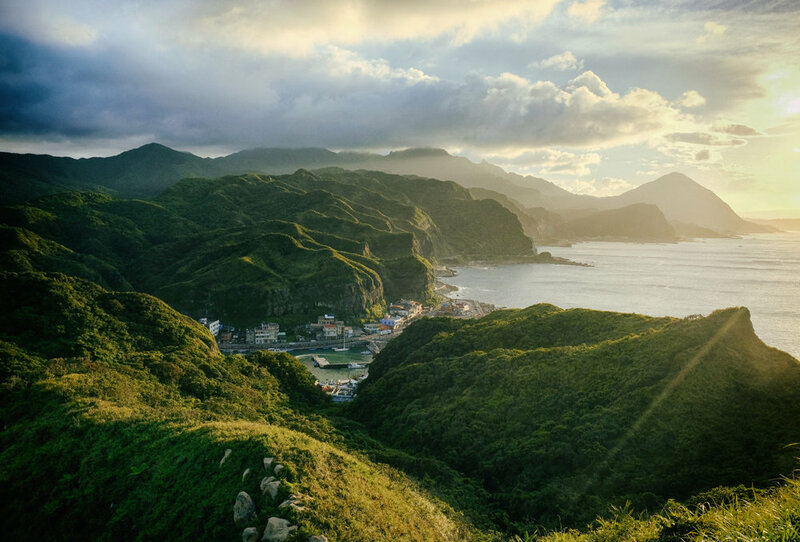 Keelung definitely beats Taipei with its beautiful coast, and its scenic road that surrounds the northern tip of the island. You easily could do a couple of daytrips from Keelung. We rented an electric scooter and visited Shifen and Jiufen. 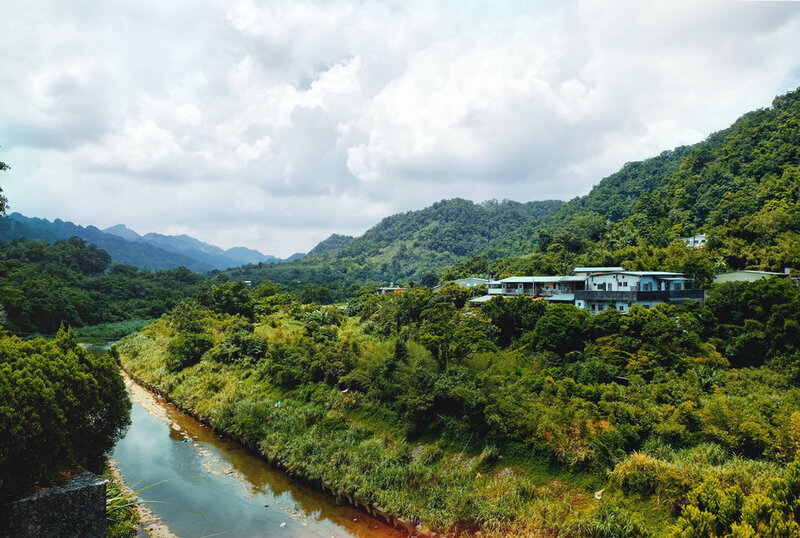 Shifen is a tiny village, located south-east of Keelung. It takes about 40 minutes to reach it by scooter. The special spot that makes Shifen pretty popular among tourists is its “Shifen Old Street”. A tiny alley, reserved for pedestrians, on which a railway-road passes straight through it. 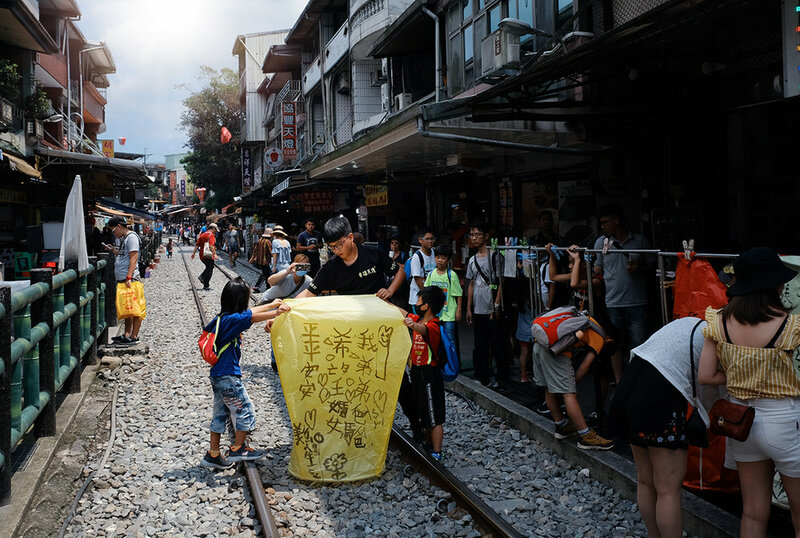 As soon as the train passes, tourists jump on the rails, trying to release their sky lantern. Visitors can buy a blank lantern for 5-10 euro/usd. They will write or paint their wish onto the 4 blank sides of the lantern. The vendor will put a gasoline-soaked cloth on the inside of the lantern, lit it on, and with a light handpush, the landern will fly towards the sky. It actually was a lovely place watching all the lantern flying high. You could see it as a cheap way to make good money. However, as for myself, it was the first time that I had the opportunity to release a lantern. Not far away from “Old Street” there was a hanging-bridge and cute little train-station. While being in Shifen, get back on the scooter and visit the Shifen waterfalls. Nothing impressive, however as there’s not that much to do in the area, it’s worth the trip. Jiufen is another village, located in the mountains, not too far away from Keelung. You might have seen beautiful nightshots on Instagram with uncountable red lanterns, that photo was high-probably taken in Jiufen. Depending on the weather you can get a jaw-dropping scenic view of the northern coast from the outskirt of the village. We visited Juifen twice, once at night, and once during the rain. It was hard to get descent photos of the views that the vista-point had to offer. The most famous part of Jiufen definitely is the covered streetmarket, seperated on different levels. Upstairs, downstairs, all the alleys lead to food, drinks, tea- & souvenirshops. The place is crammed with visitors. Hard to guess if it’s a tourist-trap or an authentic market, as we were the only white folks among the crowds. Considering the food, both of us got tired of the street food. After a couple of days we got bored and slightly disgusted by the smell of greasy food, seeing living frogs in a glass-jar waiting to get thrown onto the grill, the scents of stinky tofu. It was fun on the first day, after having bought some fresh fruits, followed by local fruit-juices and a big bowl of fatty noodle soup. You will find a couple of indoor food-courts that will serve all kind of asian foods, from thai to japanese dishes, and that was where we mostly had lunch. 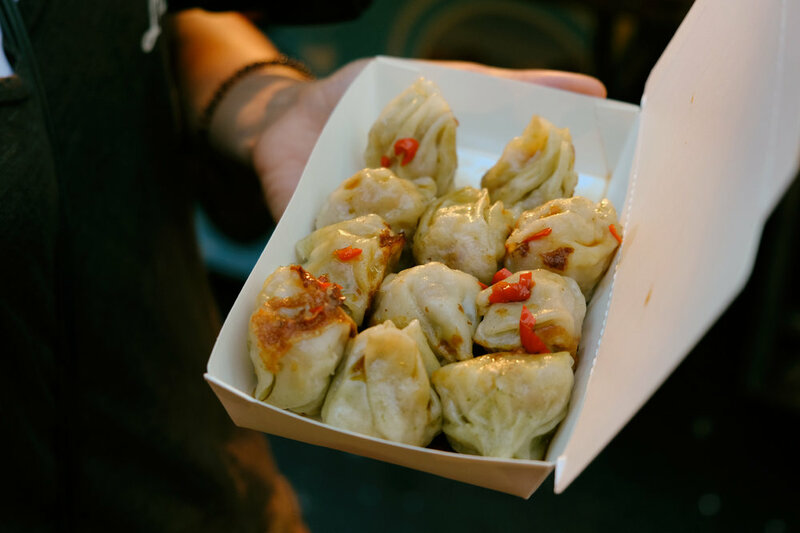 Foodwise, in my opinion, it was the least pleaseant food I had in all Asia, even though I can’t argue that we had good foos as well, like an amazing shrimp ramen at night, or my favorite nut-pastry in the morning. Another cool thing that we discovered in Taiwai, was the electric rental-scooter from the company “Gogo Ro”. In Keelung barely nobody would offer the usual scooters for rental. The easiest way to move around the Island, was the Gogoro electro-scooter. The bike was packed with 2 removable batteries, that lasted around 60-80 km. As soon as you reached 40% of battery-power, it was about time to open google-maps and look for the closes battery-charging-station. Some of the gas-stations were equipped with those power-stations, where you’d stop by, remove both batteries from the scooter, and put them into a big white wall. The station would “spit out” two batteries that were fully loaded. The good thing about that, you wouldn’t have to pay for gas, as the batterie-exchange came without further costs. The electro-bike was way faster than a gasoline scooter. However the unpleasant part was, that you could drive up to 90minutes - 100 minutes, and then you’d have to ride your bike towards the closest gas station.